They wouldn’t accept any…. so I had to pack my bags and get off. What a great vacation. We flew into Amsterdam and had 3 nights in Leiden, a lovely little dormitory town filled with cobbled streets and canals. While there we did a lot of sleeping (jet-lag) and went for some early morning runs (jet-lag). We also had a wonderful private canal boat tour with beer, wine and snacks. 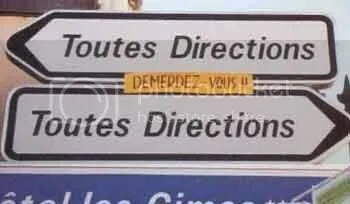 Now that’s the way. Then on the train and into Paris for two nights. Paris has had a bad rap lately and yes I did notice the heightened level of security which actually made me feel secure. We must have walked 30 kms on the one day taking in the left bank, the Latin Quarter including a visit to Notre Dame to light a candle for my parents. What a gorgeous church. The river cruise on Avalon was exceptional and I loved my room – the new panorama style room with massive sliding doors. But the best thing of all was the optional tour we took when back in Amsterdam from our cruise ship – a 20 km bike ride. Now if you have been to Amsterdam you will know that everyone and his dog (literally) rides a bike. In fact, the bike lanes are very crowded and the Dutch are proficient bike riders. Ladies with skirts and high heels on their way to the office – really! So here goes The Travel Lady – first of all I asked the cruise director to make sure they had bikes for short people. At home here in Calgary I ride a kid’s dirt bike style – not that I want to become a stunt rider but one of our neighbours gave it away and I thought why not? I have been dying to get into bike riding again. After having taken a couple of good falls in Fish Creek Park I felt I was ready to go biking anywhere. You never forget, right? I guess that is true for last week was the second time in probably forty years I have ridden a bike. Although I was a bit nervous at first, having an expert on hand to fit me to the right size bike was certainly handy. 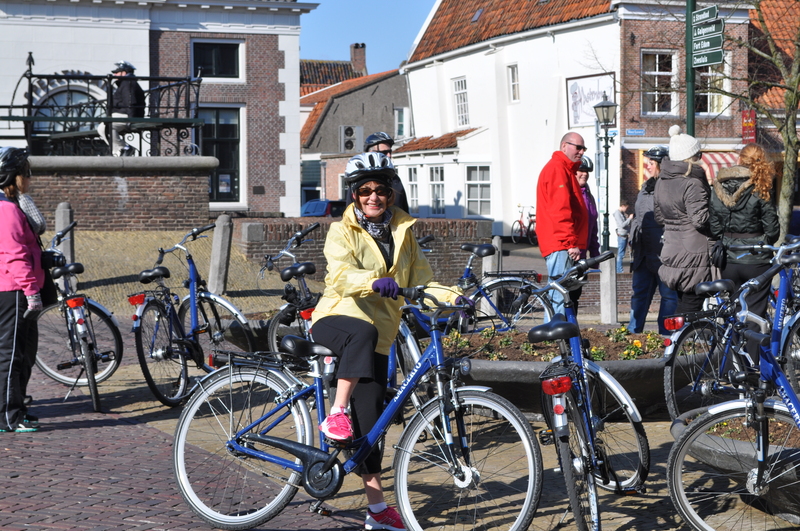 When I had used one of the river cruise bikes in Holland a few years ago I quickly realised that it was way too big and heavy for me so now I was all set up with the right size bike. Ready steady go! As I cycled the streets of Victoria I gained more confidence as I realised that the drivers there were very courteous and drove slowly past giving me a wide berth. Mmm I had to wonder how that would go down in Calgary after seeing so many people speeding through the 30 zone in front of my house. 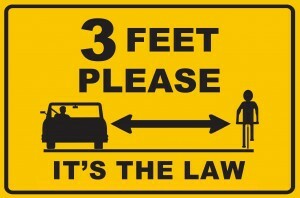 Some countries even legislate on the space you should give a cyclist when overtaking. My husband had suggested that we ride on the pathway as that would be easier. NOT. Trying to dodge lamp posts and pedestrians on this narrow pathway with an ominous looking kerb waiting to “get” me was not that easy. 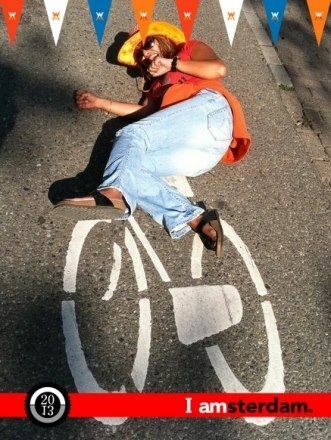 I said I would rather ride on the street. OK he says, then ride facing the traffic, it’s much safer. That didn’t work very well as within a few minutes I was faced with oncoming traffic which was in fact two spandex clad guys on flashy looking bikes. I stared at them bewildered as to what to do. They screamed past and I caught the comment from one to the other…”British”. Biking is so popular now – especially with us baby boomers – that there are special tours out there that are fully guided, luggage transported from one place to another with five-star accommodation waiting where you can rest up your aching bum. If you feel you are not up to doing a whole week of biking then why not consider a day or two. There are some great places to bike – Holland of course is famous for its biking lanes. The country is flat which is a help (none of those gear clacking, thigh busting hills that I experienced in Victoria). 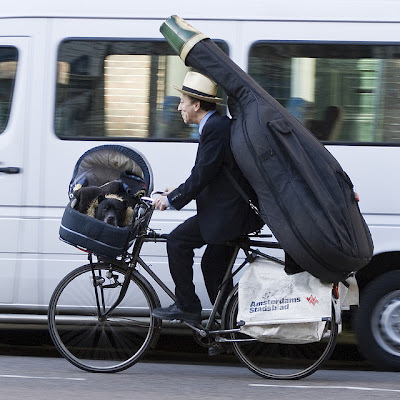 So many people in Holland bike to work so it is not unusual to see women in suits and heels riding to work – or even taking the kids to day care on their way. and don’t forget about those damn cobbled stone roads. Sharing the bill – paying your part – going Dutch as it is known. My Dutch friends joke that they have earned their reputation of being … well let’s call it frugal. Taking a close up look at the Dutch and their history makes you think twice about calling them frugal. 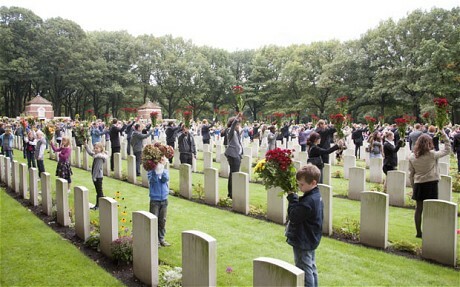 After all many Dutch almost starved to death in the second world war after the failure of Operation Market Garden. A tour of the cemetery in Arnhem is a sobering experience. How touching that people visit these graves regularly. One young glider pilot buried there has a postcard at the foot of his tombstone. It’s from his buddy in the war who made it out. On the postcard a picture of a young man in uniform and a much older man sitting in a glider. “Hi Sport” says the postcard “I said I would come back and thank you for paying the ultimate sacrifice.” Each year the local schoolchildren place bouquets on each grave as thanks for the soldiers who tried to save them. Our guide for this moving tour was surprisingly a witness to the bombing and attack on Arnhem and told us how she still vividly remembers hiding in the cellar with her family who told her that the loud bangs were just from a big thunderstorm overhead. Years later she would have the urge to run into the cellar if ever there was a thunderstorm. The Netherlands is like Forrest Gump’s box of chocolates. You really don’t know what you are going to get but are sure to be surprised around every corner. Little gems like Volendam and Edam are well worth exploring. You can be ambitious and explore it by bike as I did. Bit of a disaster actually. I think I was a danger to every other biker, motorist and pedestrian around, but the joy of being on a well maintained bike path biking through the Dutch countryside was really well worth the high level of fear I was experiencing. My shoulders were quite sore afterwards – not from the exercise but from the tension. Probably similar to the amount of tension the motorists experienced when they saw me coming. Williamstad is another lovely gem. Tiny little cobbled stone streets with orderly little houses facing onto squares of green space, old churches and cycle paths. A delightful little place. Again this is another place that goes onto my “Worthy of Another Visit List”. Finally back to Amsterdam – be sure to avoid the central area of the city. The tourist masses around the station and the red light district can result in a crowded, dirty and noisy experience. Instead head out of the centre of the city to the more residential side of Amsterdam. Areas around the Jordaan district are quite delightful with leafy canals and cute pavement cafes with tables and chairs perched on the very edge of the canal. The sun was shining but the air was still frigidly cold so a hot gluwhein was a welcome treat. 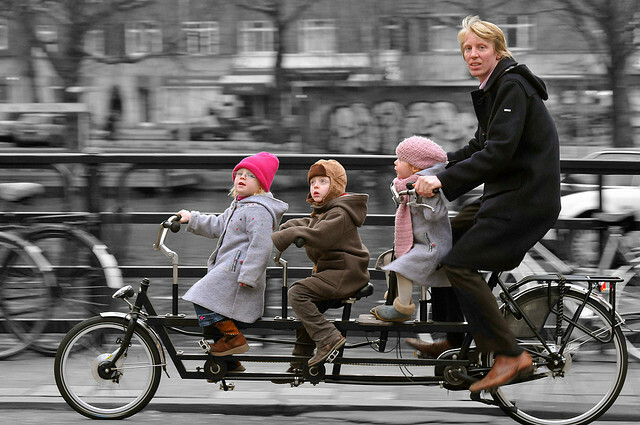 Amsterdammers love their bikes…. the city survives on its bike transportation and bike lanes are an important part of the landscape. But be careful on those lanes. The bike riders are not patient with bewildered tourists wandering vaguely into their path. It might be safer crossing against the traffic on the road. A few pictures to conjure up the experience.